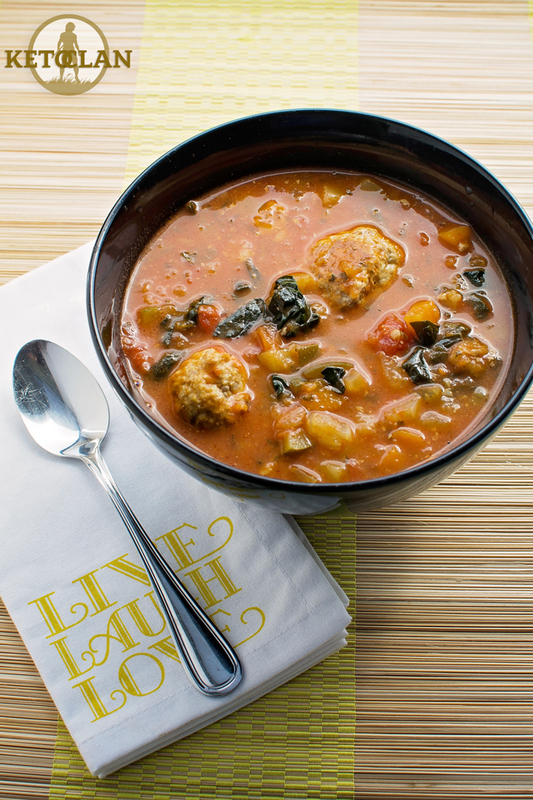 I actually came across this recipe from www.skinnytaste.com so all credit goes there. 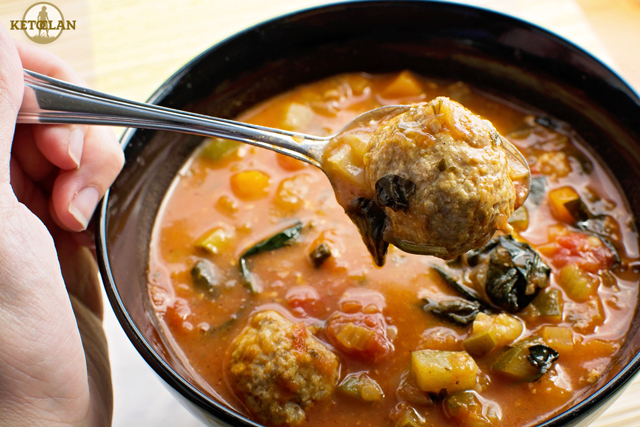 (I changed a couple of things just to make it keto friendly) It is such a fantastic soup! I’m in love with it. 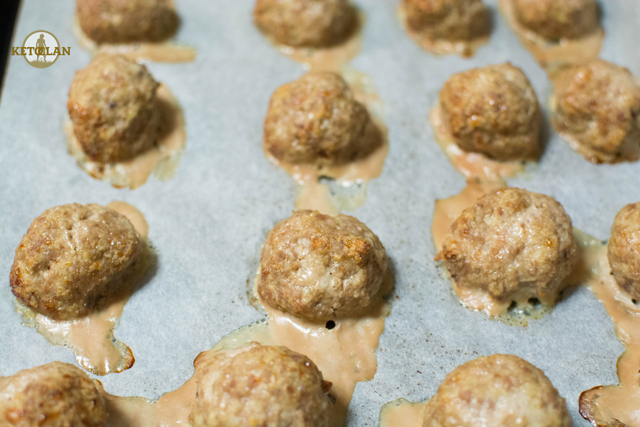 The meatballs just melt in your mouth and it is so filling and the best part is you can freeze any leftovers, or in my case I actually blend all my leftovers until it’s like a paste and I freeze it for my toddler he can’t get enough of it. So it’s a bonus for me, means one less dish I have to cook. 1. 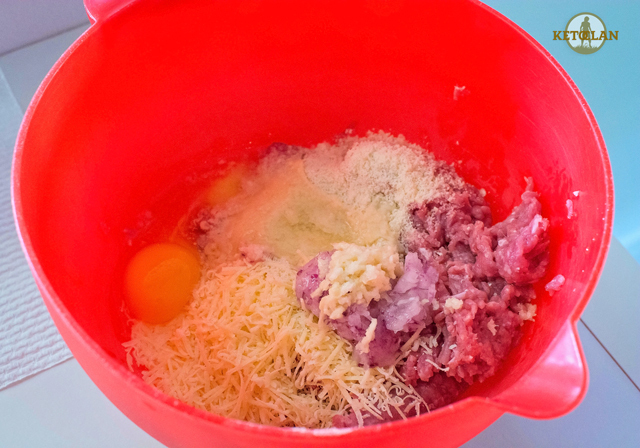 In a large bowl, combine the turkey mince, almond meal, egg, parsley, onion, garlic, salt and cheese. Mix all the ingredients well until everything is combined. 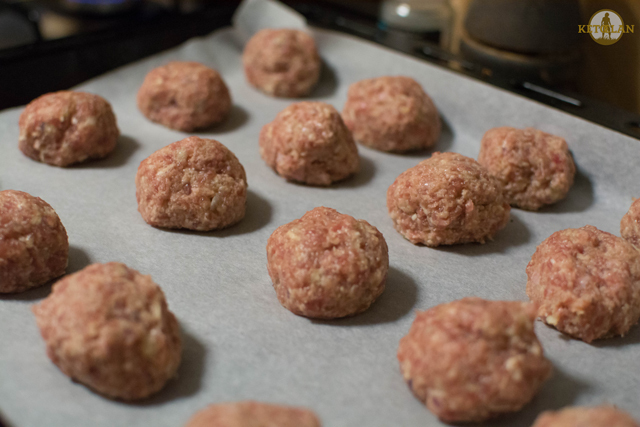 Roll into small balls and then place on baking paper on an oven tray and cook for 10 -15 mins. 2. Meanwhile, heat the oil in a large pot over medium-high heat. 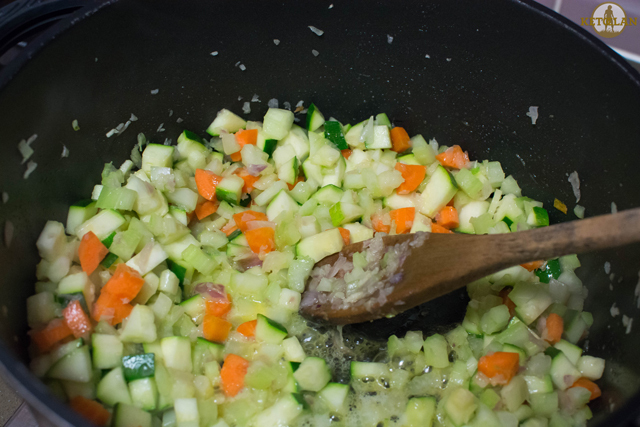 Add the carrots, celery, zucchini, onion, garlic and saute until tender. (10 or so minutes). 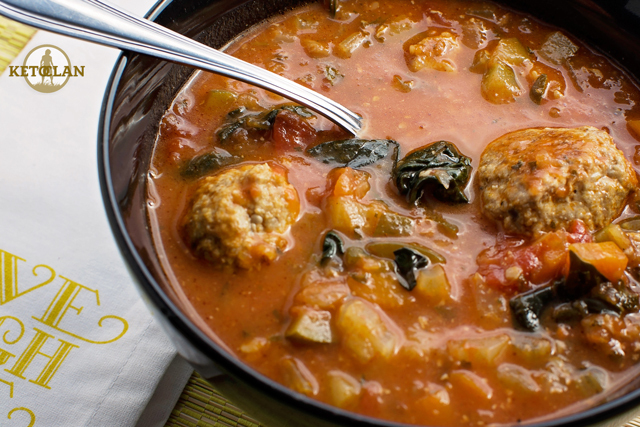 Keep an eye on your meatballs and remove them when ready. 3. Add the chicken stock, diced tomatoes, salt and pepper, basil and parsley, and bay leaves. Cover and cook on low 40 minutes. 4. 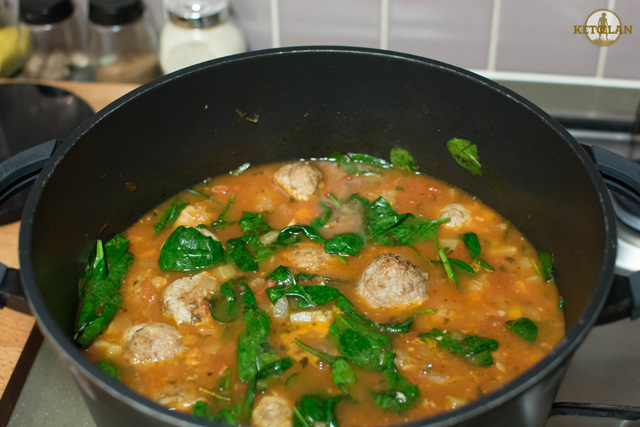 Remove the bay leaves, and place in the meatballs and spinach, cover and simmer for a further 10 minutes, season to taste with salt and black pepper if needed. 5. Serve while hot and enjoy. Looks Tasty Can not wait to try! I hope you enjoy it as much as I do. Is full of flavour.